An abundance of research in recent years has shown the fundamental role Vitamin D plays in keeping our bodies healthy. Vitamin D is important for cardiovascular health, bone health, and even for the prevention of various cancers. However, Vitamin D is not produced by the body; it is synthesized by our skin after the skin is exposed to ultraviolet radiation from the sun. 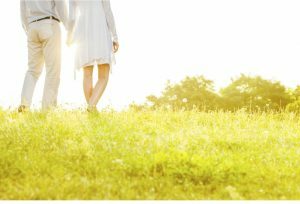 Individuals who do not spend enough time outdoors, as well as those who live in cold climates, are often deficient in Vitamin D. Elderly people, in particular, tend to spend less time outdoors, and are commonly found to be deficient in Vitamin D The question, then, is how well do Vitamin D supplements work? A recent study published in The American Journal of Clinical Nutrition presents important new evidence that demonstrates the fundamental role of magnesium in determining the amount of Vitamin D our bodies can absorb. The researchers determined that individuals with high levels of magnesium were far less likely to be deficient in Vitamin D. The researchers also found a clear association between magnesium intake and a reduction in mortality, particularly from cardiovascular disease and bowel cancer. The scientists demonstrated conclusively that magnesium is a fundamental co-factor for the synthesis of Vitamin D — whether the Vitamin D comes from exposure to sunlight, dietary sources or supplements. Conversely, they showed that magnesium deficiency inhibits Vitamin D synthesis, leading to Vitamin D deficiency. A fascinating fact noted by the researchers was that individuals who took magnesium supplements experienced different effects on their Vitamin D levels. To be more precise: magnesium supplication caused individuals who were deficient in Vitamin D to experience an increase in their Vitamin D levels, whereas individuals with high Vitamin D levels experienced a decrease in their Vitamin D levels. This final point is extremely important, since too much Vitamin D in the bloodstream can lead to an excess of calcium in the blood, a condition known as hypercalcemia. Hypercalcemia can cause a variety of health problems, including cardiovascular problems. So, magnesium does not simply increase Vitamin D levels; it optimizes them. So, if we are deficient in Vitamin D, Vitamin D supplements should likely be accompanied by magnesium supplements. As is always the case, all supplements should first be discussed with our doctors or nutritionists. At Atlantic Coast Healthcare and Rehabilitation Center, in Lakewood, NJ, we pay close attention to the needs of our residents, including their nutritional needs. Our registered dietitians work with our master chef and his group of culinary experts to prepare healthful, delicious meals. We even take care to serve our residents on fine china to ensure that our meals are as pleasing to the eye as they are tempting to the palate. It’s just one part of our restorative approach to senior health, maximizing function and mobility in a positive and upbeat atmosphere.